One of the top sales books is unquestionably Neil Rackham’s SPIN Selling. Explaining the types of sales questions is an integral of SPIN Selling. Credibility and insight is drawn from actual research. In a pundit-filled internet, Rackham’s book is timelessly refreshing. 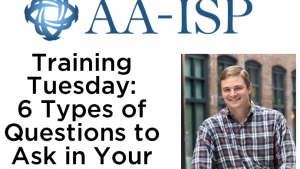 We’re taking a look at the acronym of SPIN in this post. 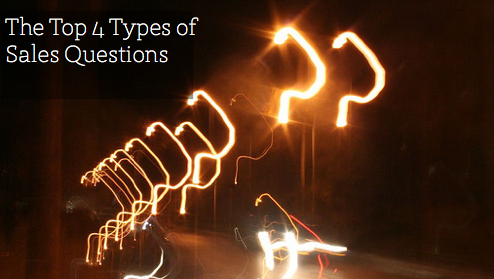 His research found that successful salespeople have a traceable pattern of types of questions they ask. First, What Is SPIN Selling? SPIN selling is simply a framework of questions to help navigate a sales call. These are questions designed to get to the heart of a discovery call–and allows both the prospect and sales person to better discover if there is a good fit for the sale! It is NOT a series of sneaky or psychologically complex questions designed to trick anybody into a sale at all costs–quite the contrary. SPIN questions simply continue the conversation in such a way where the prospect discovers their true need for your product–sale or not. These questions are focused on understanding the situation of the buyer. Where are they at on their journey? What have they been feeling lately? Are they in a certain situation that makes them need your product? Learning more about the background and facts of the buyer not only helps build rapport but also equips a rep with valuable information that can be used in the future. Rackham suggests keeping situation questions to a minimum. 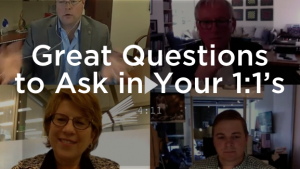 Successful sales folks transition into these types of questions ASAP. builds trust with the buyer in demonstrating your knowledge of the problem. 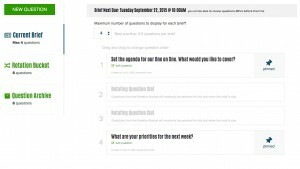 Problem questions are the best way for a prospect to get more clarity on their current needs! “What is lacking in your current setup?” – also an implication question. See below. More complex sales have these types of questions attached to them. Implications questions take the problem that you’ve already diagnosed–and explore their effects or consequences. Truly skilled sales reps know how to do this well. It takes critical thinking, tact, and deep industry insight. Top sales performers understand the goal here is to get the customer to tell you the benefit of your solution. The need-payoff questions help paint a picture of “what could be” with your solution. Great salespeople not only relay the features and benefits of their offer–but literally get prospects to imagine what their life would be like AFTER the sale. 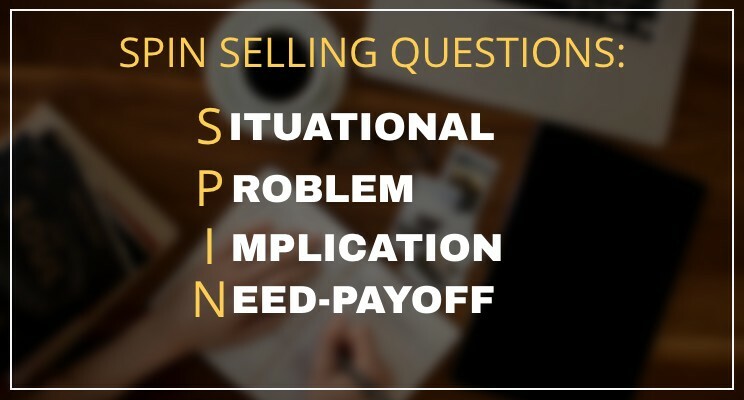 SPIN Selling Questions Can Be a Handy Framework for Better (and Quickly) Navigating a Sales Conversation. Sales questions are a fascinating subject of study and this is just the beginning. For further reading, we highly recommend picking up SPIN Selling and giving it a read–or passing it out to your sales team. WideAngle is One on One meeting software used by companies including General Electric, IBM, AT&T, Google, and many more to make sure One on Ones happen, are productive, and documented.